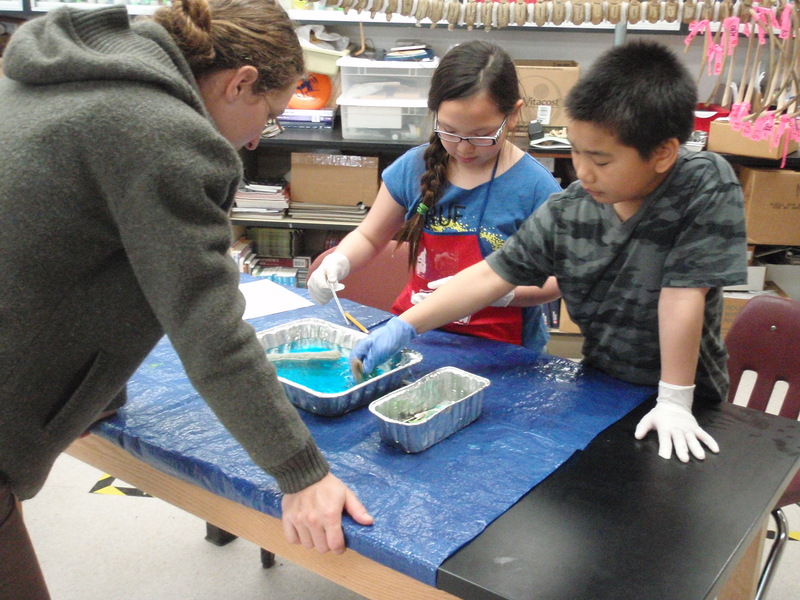 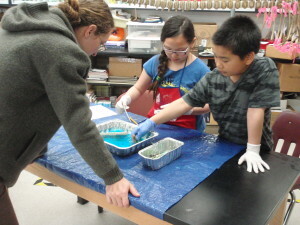 In May two of our education staff members visited schools in Kodiak and St. Paul, sharing presentations with kids from 3rd through 12th grade on oil spills and response equipment. 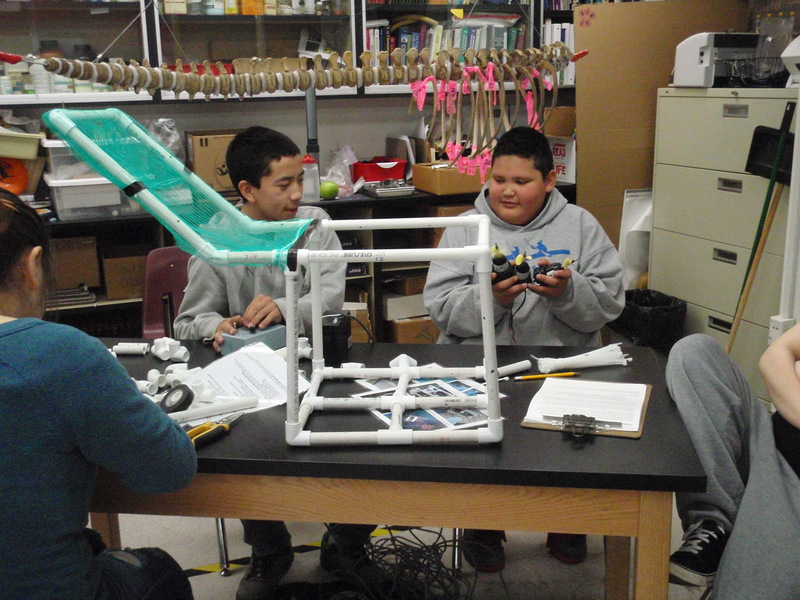 Small groups were each given a Remotely Operated Vehicle (ROV) kit to design and build their own underwater craft, ultimately testing their design in a series of scored challenges. 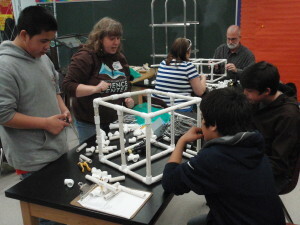 Students in St. Paul assembling their ROVs, with the assistance of Cara Goodwin and Meadow Scott. 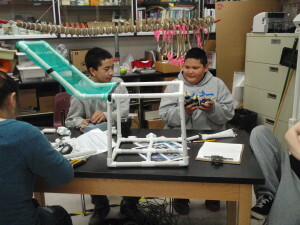 St. Paul students put the final touches on their ROVs. 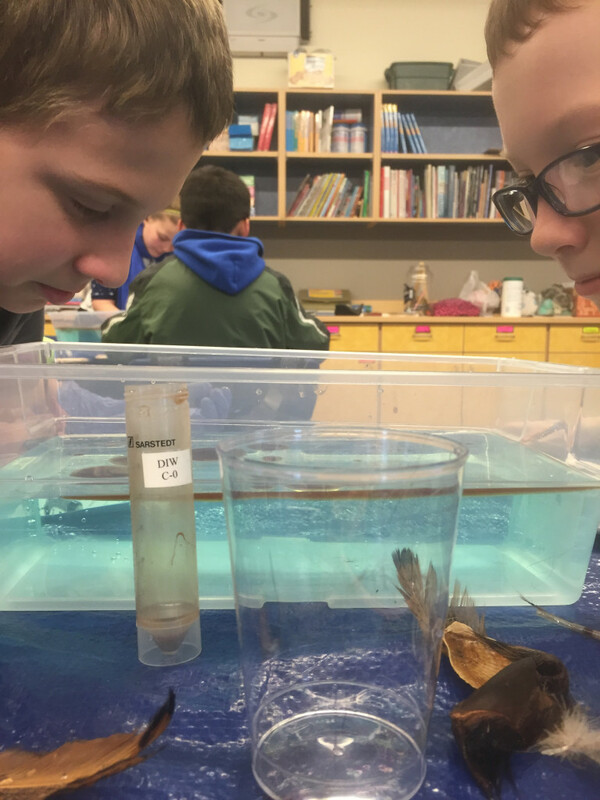 Left: Meadow Scott looks on as students learn about oil in water properties. 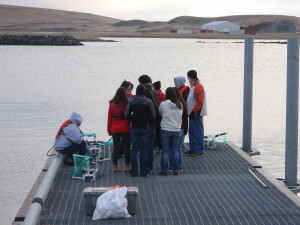 Right: Students gather in the St. Paul harbor to test their ROVs during a mock oil spill. Left: Students in St. Paul maneuvering their ROV during the mock oil spill. 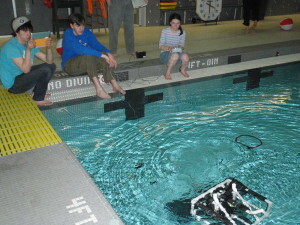 Right: ROV scooping up popcorn during the mock oil spill challenge. 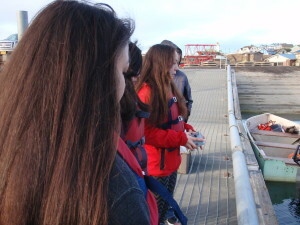 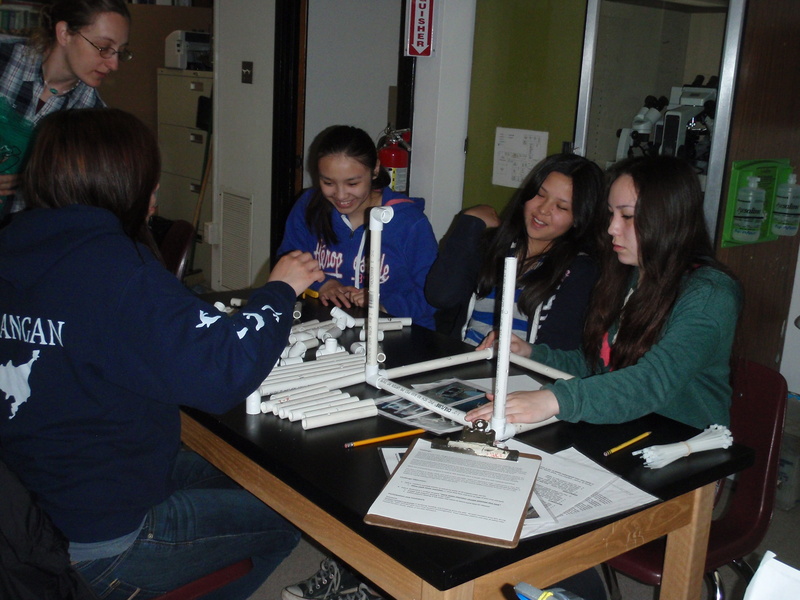 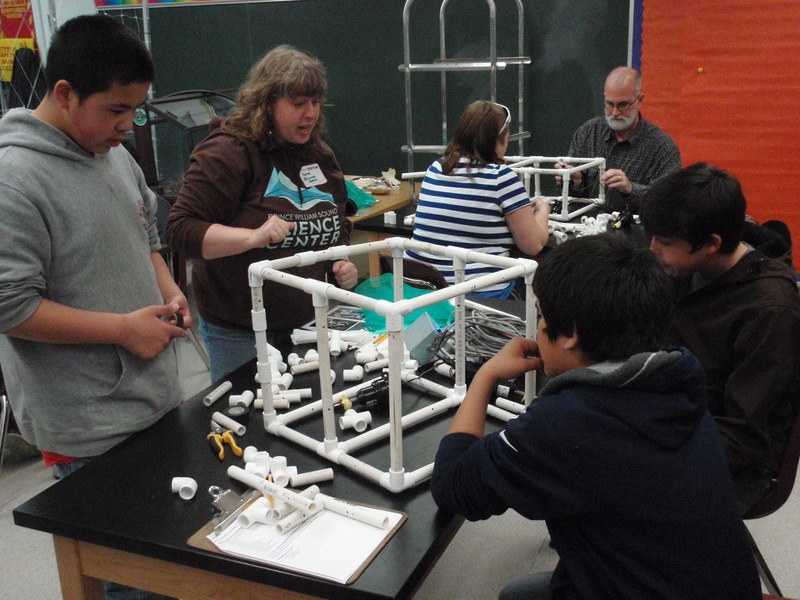 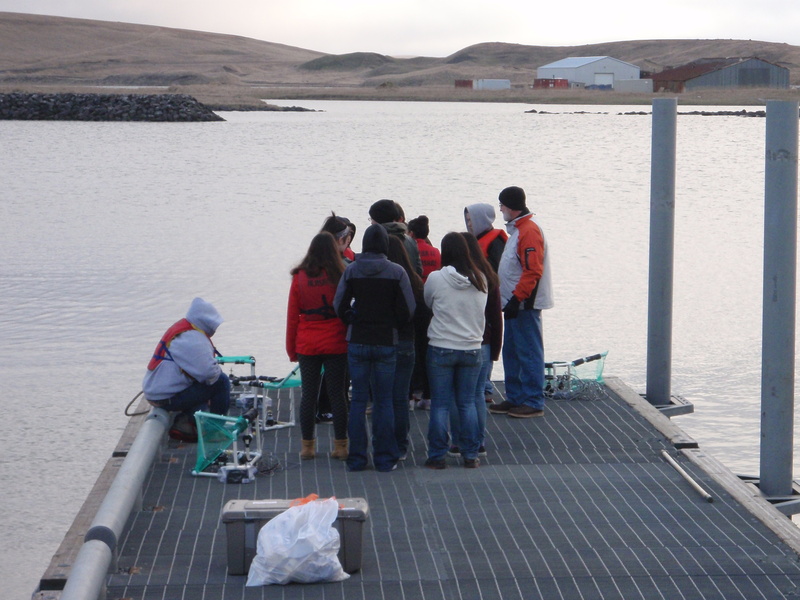 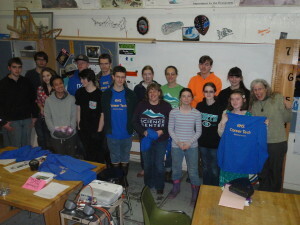 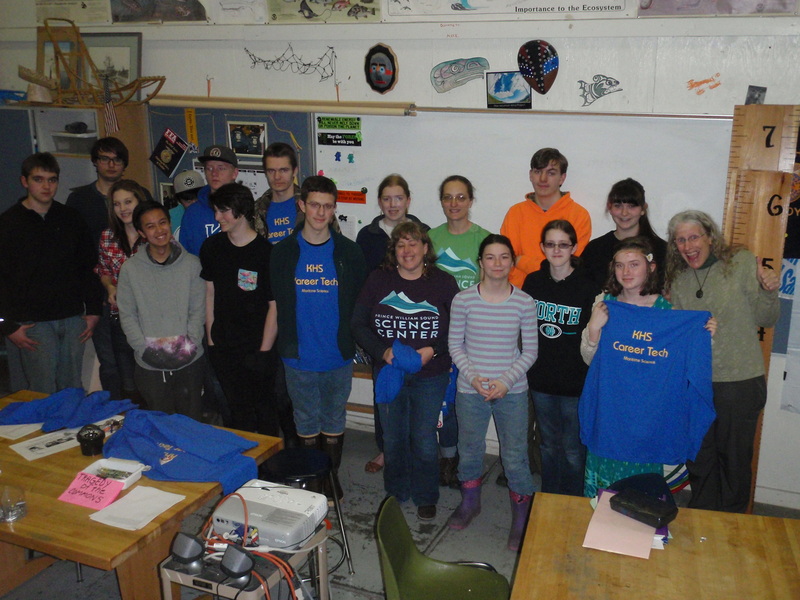 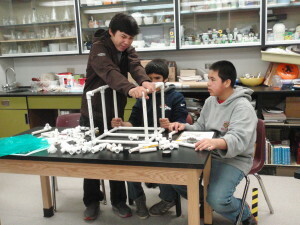 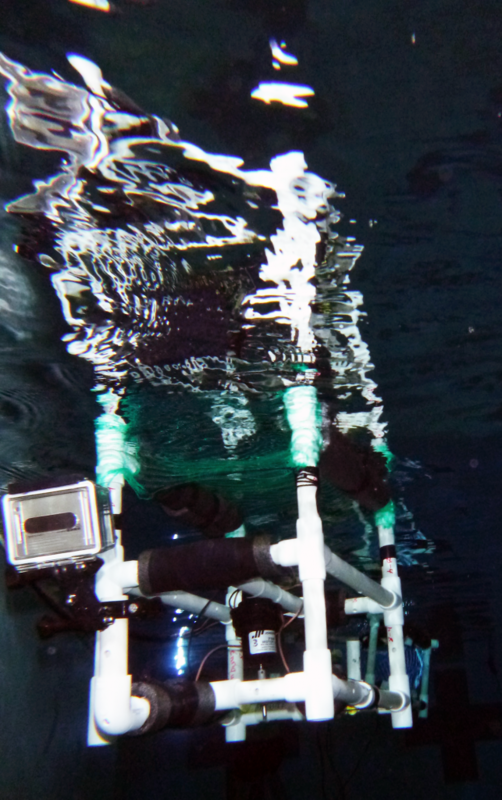 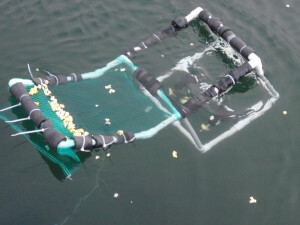 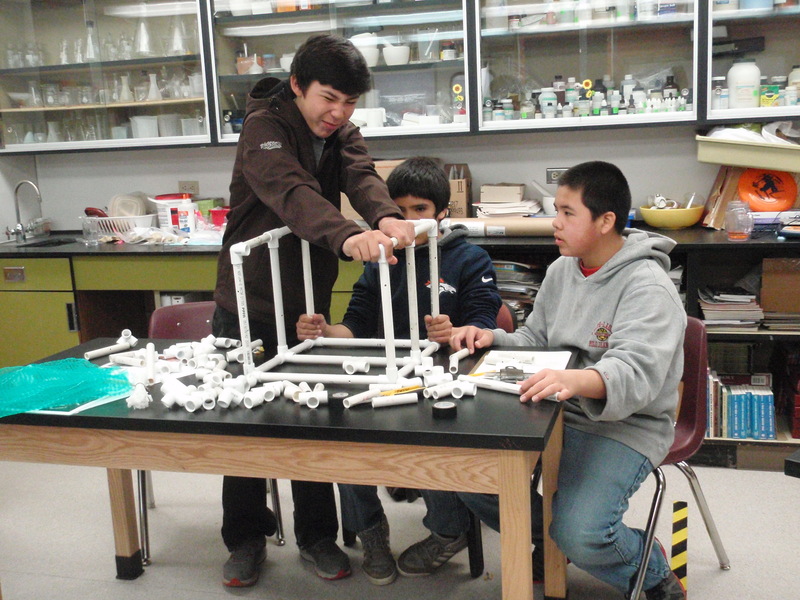 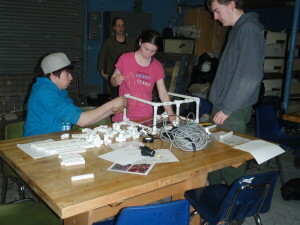 Students in Kodiak learn about oil in arctic environments and built their ROVs. 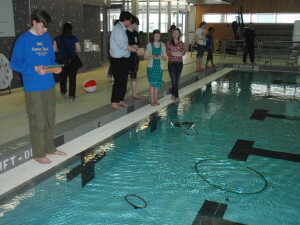 Kodiak student testing their ROVs in the pool during the mock oil spill challenge. 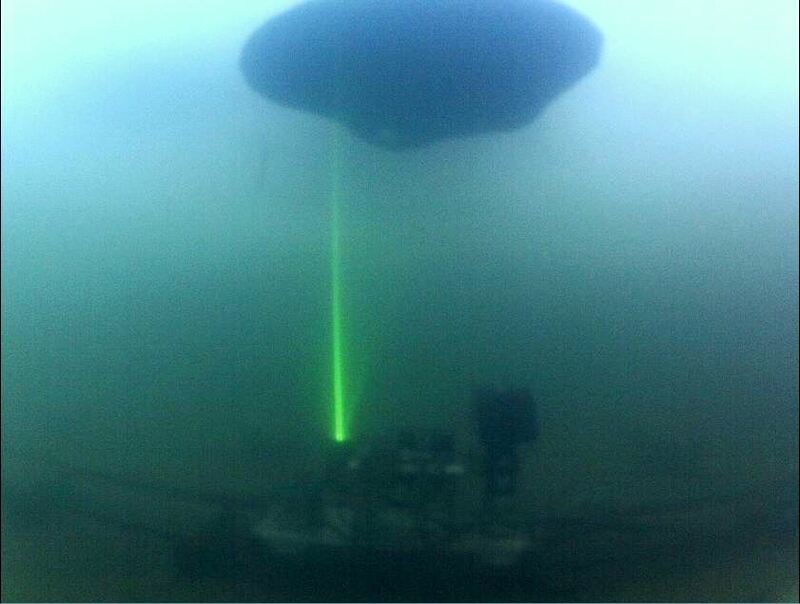 Underwater sensors including cameras, sonar, and laser fluorescence are used to detect oil under ice at the Cold Regions Research and Engineering Laboratory.